The twin cities of Hasselt (pop. 70,000) and Genk (45,000) are the main urban centre of the rural province of Limburg, of which Hasselt is the capital. They are located on the Albert Canal, between Antwerp and Liège. The pair lacks the Renaissance grandeur of other Flemish cities, but has its fair share of tourist attractions nonetheless. The reconstructed historical village of Bokrijk offers fascinating insights in the life of rural Belgium in the 19th century. 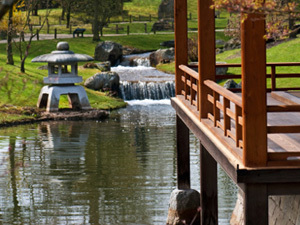 In spring and summer, crowds come from far away to enjoy the beauty of Hasselt's Japanese Garden, the largest of its kind in Europe. Hasselt's pedestrian city centre, its numerous shops and good nightlife all make of it a congenial place to stay. Indeed, in 2004, Hasselt got the title of "most sociable city of Flanders". Hasselt was founded in the 7th century under the name of Helbeek. 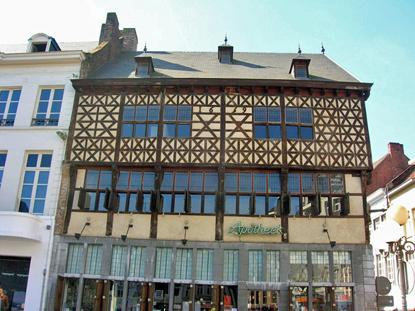 The name of Hasselt first appears in 1165, when the borough receives its first town charter. Hasselt was then part of the County of Loon, of which Borgloon was the capital. 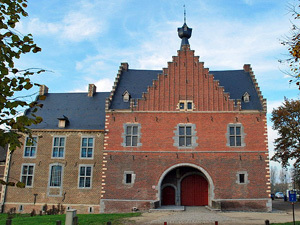 Hasselt nevertheless grew into the county's biggest city thanks to its favourable position at the junction of trade routes, and its proximity to the influential Herkenrode Abbey in Kuringen. The County of Loon became part of the Prince-bishopric of Liège in 1366 until its annexation by France in 1794 and the dissolution of the aristocratic ruling system. Upon the independence of Belgium from the Netherlands in 1830, nearby Maastricht was chosen as the capital of Limburg. In 1839, though, Belgium has to relinquish Maastricht to the Netherlands to settle the recognition of independence, and Hasselt was made the provincial capital. 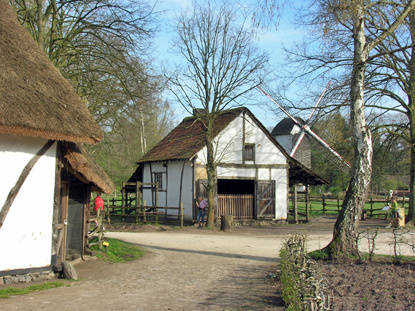 The Bokrijk Open Air Museum is a reconstruction of a 19th-century country village with over 100 houses and their original equipment. It also hosts Flanders' largest open air playground. The Japanese Garden in Europe, based on a 17th-century model and laid out with the help of Itami, Hasselt's sister city in Japan. 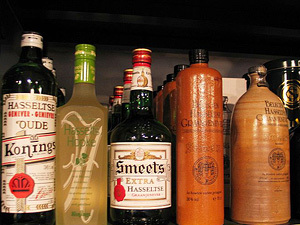 Discover the history of genever (gin) in an authentic 19th-century Hasselt distillery. 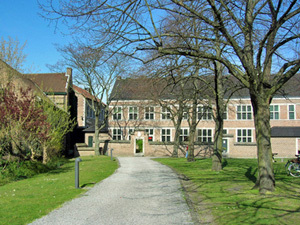 The museum is located in Witte Nonnenstraat 19. Open Tue-Sun 10am-5pm, 4.5 €. Hasselt's 18th-century Beguinage. This convent for women was founded in 1245 and was used until the death of the last nun in 1886. 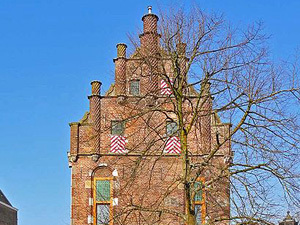 It is located next to the National Genever Museum. A former monastery of Cistercian nuns located in Kuringen. It was founded circa 1182 and secularised in 1799. Its Refugehuis was built in 1542-44 and is the oldest building in Hasselt. Hasselt's old town hall. Its construction started in the late 15th century and was completed in 1550. It was rebuilt in 1820-26 and renovated in 1907-08. In spite of its small size, Hasselt is an excellent place for shopping thanks to the convenient concentration of all the shops in a few streets around the Grote Markt (town square). The usual fashion chains are on Demerstraat, while the more upmarket boutiques are on Kapelstraat. There is a shopping centre connected to the SAS Radisson Hotel between Maastrichterstaat and Capucienenstraat. The SAS Radisson houses a branch of Mediamarkt and a Passage Fitness. The road between Hasselt and Genk (Genkersteenweg or Hasseltweg, depending or where you are coming from) reminds of an American-style strip mall, with supermarkets, fast-food restaurants, chain shops for home decoration and electronics, car dealers, etc. Hasselt is easily reached by train from Liege (65 min) or Tongeren (22min). If you have your own wheels, Hasselt is on the E313 between Liege and Antwerp, and not far from the E 314 between Brussels and Aachen in Germany. The slower N2 highway connects it directly to Leuven, Diest or Maastricht in the Netherlands.